Taking this side-view photo of my own foot took some reaching and stretching. I’m a little surprised that it turned out as well as it did. I may knit a few more rounds, but it’s usually around this point where I prefer to end my socks and bind off. 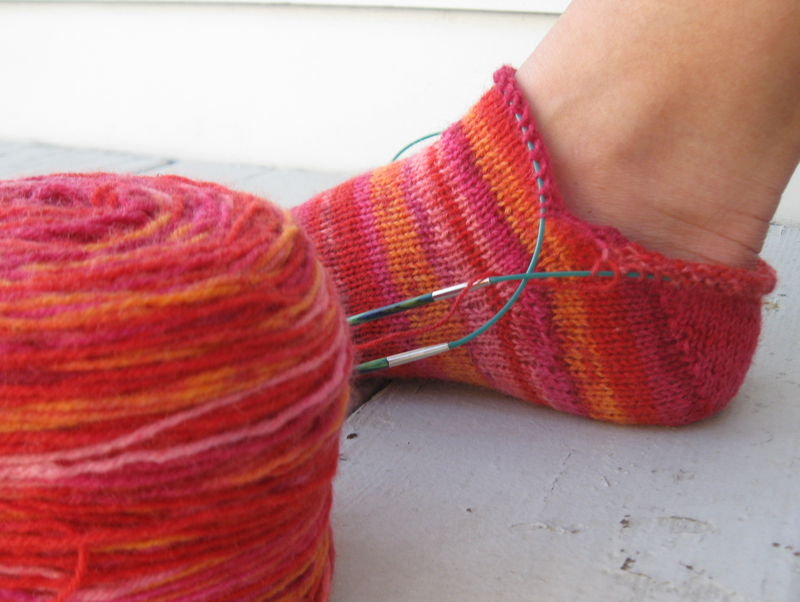 A secret to knitting up a pair of socks really quickly: make them short. 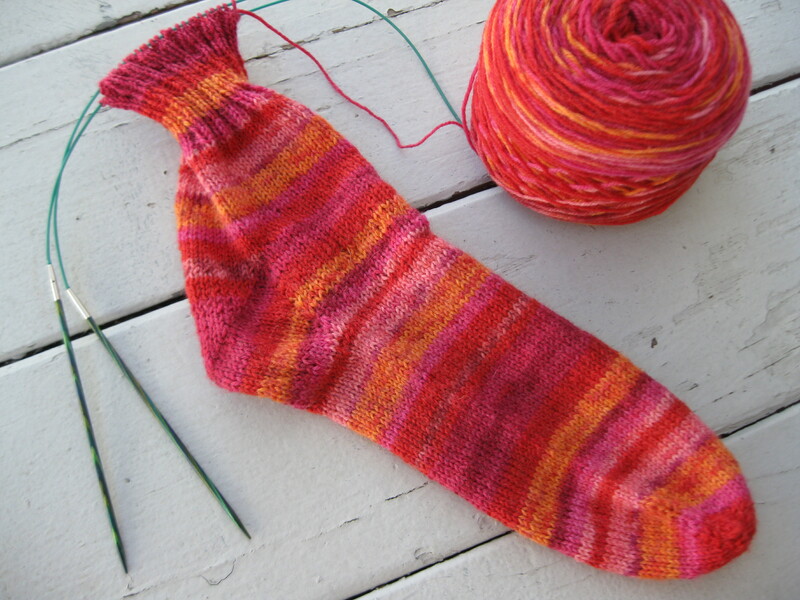 Categories: Handmade | Tags: knitting, socks | Permalink.